Online enrollment for Project Plant It!, the free environmental education program created by Dominion Resources to teach children about the important role of trees in the ecosystem, is now open across regions served by Dominion. The program is available for children of all ages and grade levels, including those in schools, scout troops, civic groups, environmental clubs and other entities. A hallmark of the program is the distribution of free redbud tree seedlings in honor of Arbor Day. “Project Plant It! is one of the many ways Dominion supports educators and invests in local communities,” said Hunter A. Applewhite, president of the Dominion Foundation, the philanthropic arm of Dominion Resources. “This innovative tree-planting program for children aligns with our mission to promote environmental stewardship in a fun and meaningful way.” Dominion recently was named by Forbes magazine and its partner JUST Capital to the prestigious “JUST 100” list of the best corporate citizens in the United States. Educators, group leaders and parents who are interested in participating can register by going to projectplantit.com and clicking on “Register Now” from the home page. If the zip code is confirmed as being in an eligible area up to 25 free redbud tree seedlings can be requested. Seedlings will be shipped to arrive in time for Arbor Day (April 28, 2017). The deadline to register is Friday, Feb. 17, 2017 or while supplies last. The website provides a variety of free educational resources to educators and parents, including lesson plans that support third-grade learning standards for math, science, language arts and social studies. All of the lesson plans can be downloaded at no charge from the website and they can be adapted easily to all grade levels from preschool through college. In addition, the website features interactive games and instructional videos about trees, along with a variety of outdoor activities that families can enjoy together. This program will distribute 50,000 redbud tree seedlings in 2017. The states served by Dominion include Connecticut, Maryland, New York, North Carolina, Ohio, Pennsylvania, South Carolina, Virginia, West Virginia, Colorado, Idaho, Utah and Wyoming. 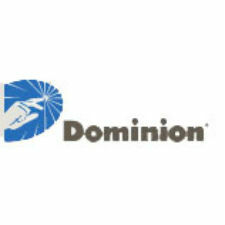 The latter four states are new this year as a result of Dominion’s recent merger with Questar Corporation. Project Plant It! was established in 2007 to educate children, plant trees and improve the environment. The tree seedlings are grown and shipped to participants in April by the Arbor Day Foundation, a longtime partner with Dominion. In 2017, more than 400,000 tree seedlings will have been distributed to children in states where Dominion operates. According to the Virginia Department of Forestry, this equates to about 1,000 acres of new forest if all of the seedlings are planted and grow to maturity. For more information about Project Plant It!, visit www.projectplantit.com.